A few years back I reviewed a portion of the material presented. I wrote to the hosting website letting them know of my reviews. I received the following reply, "We will forward [the author] your comments and ask him to send us a respond. Once he has sent us a response to your article, we will try to forward to you what he sends back to us." That was in 2006. I have yet to receive any response. I probably never will. 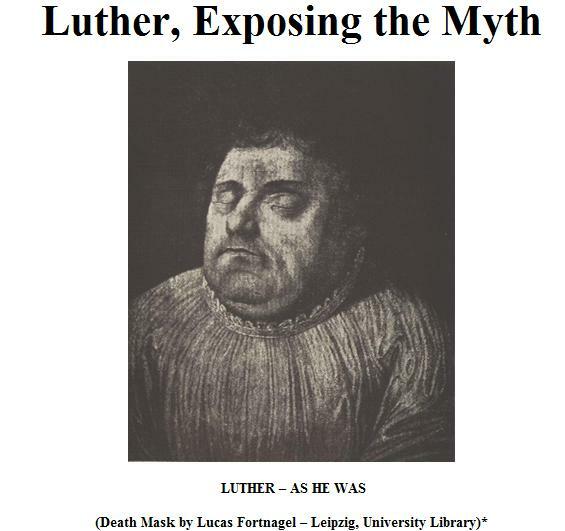 Why Respond to Luther Exposing the Myth? Why go through the material from this web page? 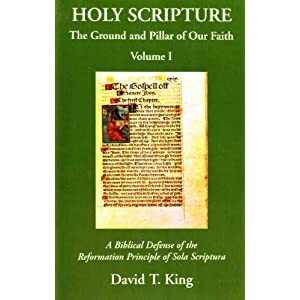 Shouldn't most people reading Luther, Exposing the Myth realize one or two sentences from a historical figure without a context is probably propaganda? Unfortunately, over the years I've watched the material from Luther, Exposing the Myth used and quoted. I've come across various web discussion boards in which the material is accepted without scrutiny. I've watched many of the quotes utilized multiply over onto other web pages. I realize most people don't have the time nor the resources to look into the Luther quotes presented. Research takes time. It's my hope that the 1 out 100 people that loves truth will come across the following research, utilize it, and set the record straight. I am not a Lutheran. There are many issues I'd disagree with Luther and Lutheranism on. However, I do love truth. It's one thing to disagree with Luther's theology. It's quite another to deliberately misrepresent his theology and character. 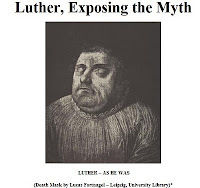 In the summer of 2010 I began once again to work through Luther, Exposing the Myth. I came across this discussion thread, as well as this one, and this blog entry. These provoked me to take a fresh look at this propaganda piece. Below are all the quotes used by Luther, Exposing the Myth and my responses hyperlinked as I work through them. I've just about gotten through all of the quotes used, I plan on finishing the last few up, summer 2011. If you're looking for more information on a specific Luther quote or topic used in Luther, Exposing the Myth, use the search engines on the right hand column of this blog. Chances are, I've covered the material elsewhere. 29. "My advice, as I said earlier, is: First, that their synagogues be burned down, and that all who are able toss sulphur and pitch; it would be good if someone could also throw in some hellfire... Second, that all their books-- their prayer books, their Talmudic writings, also the entire Bible-- be taken from them, not leaving them one leaf, and that these be preserved for those who may be converted...Third, that they be forbidden on pain of death to praise God, to give thanks, to pray, and to teach publicly among us and in our country...Fourth, that they be forbidden to utter the name of God within our hearing. For we cannot with a good conscience listen to this or tolerate it... He who hears this name [God] from a Jew must inform the authorities, or else throw sow dung at him when he sees him and chase him away"